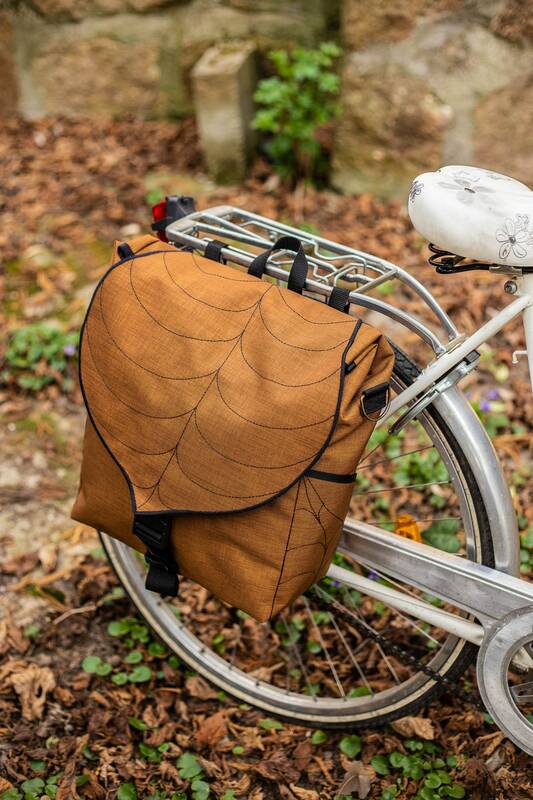 The Large Leaf Pannier is back on stock! We recently redesinged the pannier to make it safer and better for your biking needs! If you ride your bike ofthen and you are looking for a cute everyday bag that you are able to attach to your bike rack, this bag will be perfect for you. We added a 3 mm PVC sheet on the back and bottom of the bag to make it rigid to make your bike rides more comfortable and safer. • Attached to the bike by web straps and strong plastic buckles that allow for the bag to attach easily to almost any bike rack. • There is a adjustable 150 cm log shoulder strap for carrying the bag off the rack. • Factory coated with a sprayed on, Polyurethane coating on one side for water resistance. • Waterproof on both sides. it's a lovely small bag, it's well-made and it's in my favourite colour. so, naturally, i am very pleased with my purchase :) shipping was super fast too.